The palm tree a chamaedorea differs from the colleagues by the form in fine forms and enviable grace. For this reason today it became the most favourite houseplant at all flower growers. Sort the chamaedorea from rainforests and the mountain district of South America, but does not prevent it to grow it and even to blossom and in our climatic latitudes. It is important to note that a chamaedorea quite not a whimsical plant. She well feels both in a shadow, and in a penumbra, and even in the conditions of artificial lighting (fluorescent lamps). Moreover, the chamaedorea absolutely freely grows even at northern windows. 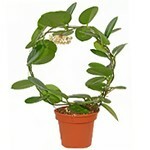 In the evening experts recommend to take out a plant on fresh air, and the room where it settles down, actively to air. For creation of the most comfortable conditions for growth of a chamaedorea during the summer period it is necessary to contain it at a temperature of 25 degrees, and here winter of 16-18 degrees will be quite enough. The most important is not to allow sharp difference of temperatures and strong drafts indoors. In the course of active growth the chamaedorea needs good watering. The soil has to be constantly damp, though not boggy. During the winter period watering is considerably reduced though all the same it is impossible to allow that soil dried up. It is best of all to apply water of room temperature and cleared of impurity. 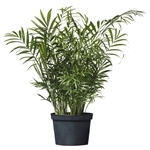 As for humidity of air, the chamaedorea ideally grows in conditions of the moistened air. 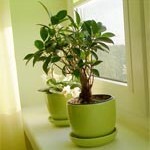 So, spray it tropical a plant from a spray, air once a half-month the room and accurately wipe leaves from dust. Since April and till the September a chamaedorea it is necessary also to fertilize once in two weeks. In the rest of the time of top dressing of times a month will be quite enough. It is not necessary to fertilize a chamaedorea before its change at all. Mineral concentrates are considered as the most effective fertilizers. They can be bought in specialized shops. Surprisingly, but this "a mountain palm tree" as one of the few, it is possible to make multiple copies in the vegetative way. For this purpose radical offsprings who without effort form enough own roots recommend to take. Besides, the chamaedorea perfectly breeds seeds. 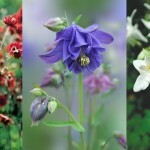 Implementation requires artificial pollination, namely manual transfer of pollen between female and man's plants. Disembarkation of seeds, as a rule, has to be only to the damp soil and at a temperature of 25-27 degrees. It is important to note that the bought seeds sprout about 6 months, and here fresh 30-35 days. Tripsa, shchitovka and web pincers are considered as the most widespread wreckers of a chamaedorea. Traditionally, they "occupy" trunks and leaves of a chamaedorea from which "exhaust" all juice, as leads to easing and even to death of plants. Strong indications of infection with wreckers is an emergence of white and yellow spots on leaves, and also their prompt subsidence. To secure plants against this negative phenomenon, it is necessary to carry out all rules of leaving and to watch an optimality of temperature condition, humidity of air and other factors of the contents. Viewing on existence of parasites is carried out regularly, at detection it is necessary to move away them by means of wadded tampons. As you could already understand, the chamaedorea not for nothing enjoys such popularity. It is not choosy, but at the same time is very beautiful. 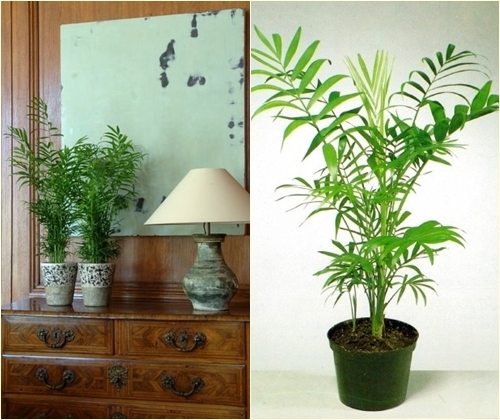 At good leaving this house palm tree the chamaedorea will smartly decorate an interior, and will long please the owner.